In today’s day and age, there are a multitude of ways to add security to your life. For the home, there are high-tech security systems, motion-activated lights and doorbell cameras. Online, you can safeguard yourself with strong passwords, antivirus and anti-malware protection, and a firewall. And on the road, vehicles that feature automatic emergency braking, lane departure warning and blind spot detection help keep us safe. 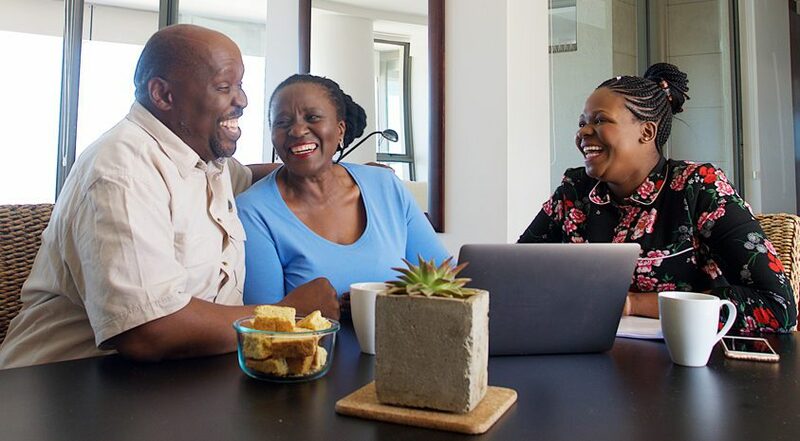 Many people prioritize their security at home, online and on the road—yet they neglect one of the most important areas of life that also needs to be safeguarded: their retirement. Unfortunately, many Americans are unprepared for retirement, with not enough savings and no plan for paying for their health care and long-term care. Do you want to join those 17% who are confident about their retirement security? 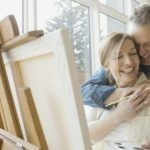 Check out these retirement planning tips and start making changes today to help you reach your retirement goals! 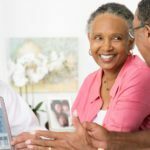 In order to be truly confident about your retirement security, you need to know your retirement number. This number is your retirement budget, or the amount of money you need to live on in retirement, including your health care expenses and long-term care expenses. You’ll need to do these calculations based on your own personal situation, but here’s some food for thought: According to the Bureau of Labor Statistics, “older households” (those run by someone 65 or older) spend roughly $3,800 a month, or $45,756 a year.2 That equals $1,368,000 over the course of a 30-year retirement (not taking inflation into consideration)! The last thing you need to consider is your personal retirement goals. Maybe you want to travel the world or purchase a vacation home somewhere warm. Perhaps you’d like to help fund your grandchild’s education or leave a large legacy. Defining these retirement goals will help you calculate how large your nest egg needs to be. These allow you to achieve a more diversified portfolio with fewer individual investments. These longer-term investments feature exposure to stock market fluctuations and tax-deferred earnings. If you wish to help fund someone’s education expenses, such as your grandchild’s, this allows you to prepay for qualified higher education expenses at eligible educational institutions. When funds are withdrawn for eligible uses, they are not subject to Federal income taxes. These allow you to own shares or stock in an individual company. These are traded on exchanges such as NASDAQ. You may have certain rights, such as voting or dividends. This marketable security tracks an index, a commodity, bonds, or a basket of assets like an index fund. Unlike mutual funds, ETFs trade like a common stock on a stock exchange. They typically have higher daily liquidity and lower fees than mutual fund shares. A complete, secure retirement plan should couple investment solutions with insurance products. Certain insurance products can help protect you from unforeseen events that may derail your retirement plans. These products can provide a measure of peace of mind—so you can enjoy your golden years as worry-free as possible. Medicare will cover many of your health care costs in retirement, but you generally still have to pay a share of the expenses, including deductibles, coinsurance, co-payments, outpatient services and more. Medicare Supplement insurance can help you pay for the health care costs that Medicare doesn’t cover. You must be enrolled in Medicare Part A and Medicare Part B in order to enroll in Medicare Supplement insurance. Cash value accumulation—access your policy’s cash value through loans and withdraws to supplement retirement income. Income-tax-free inheritance—help your beneficiaries avoid the delays and expenses of probate, in most cases. 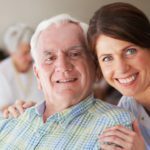 This insurance provides coverage for nursing home care, home health care or both. It helps you maintain control of where you will receive care while helping you protect your nest egg from the high cost of assisted care services. An annuity is an insurance product designed to accumulate tax-deferred money during the accumulation phase, with principal that isn’t subject to market volatility. An annuity is one of the few savings vehicles that can guarantee payments for life during the payout phase. They’re generally considered a safe option because they offer principal protection and guaranteed interest accumulation. Retirement planning can be overwhelming, but you don’t have to do it alone. A Bankers Life Securities Financial Advisor can help you identify your goals and needs and create a personalized solution engineered to help you achieve them. Learn more here, or call (844) 553-9083, to set up an appointment. 1Employee Benefit Research Institute, 2018 Retirement Confidence Survey, https://www.ebri.org/docs/default-source/rcs/1_2018rcs_report_v5mgachecked.pdf?sfvrsn=e2e9302f_2, April 24, 2018. 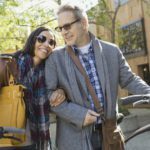 2NerdWallet, Let’s Get Real: What an Average Retirement Costs, https://www.nerdwallet.com/article/lets-get-real-what-an-average-retirement-costs, May 28, 2018. 4Department of Health and Human Services, https://longtermcare.acl.gov, February 2018. 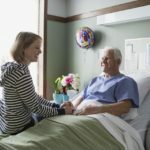 5Forbes, You Might Be On The Hook For Your Parents’ Nursing Home Costs, https://www.forbes.com/sites/jamiehopkins/2019/02/06/you-might-be-on-the-hook-for-your-parents-nursing-home-costs/#8593a9533e8c, February 6, 2019. Insurers and their representatives are not permitted by law to offer tax or legal advice. The general and educational information here supports the sales,marketing and service of insurance policies. Based upon individuals’ particular circumstances and objectives, they should seek specific advice from their own qualified and duly-licensed independent tax or legal advisers.